Talk about the most sought after fashion brands in America, we will find ourselves end up quoting Coach. 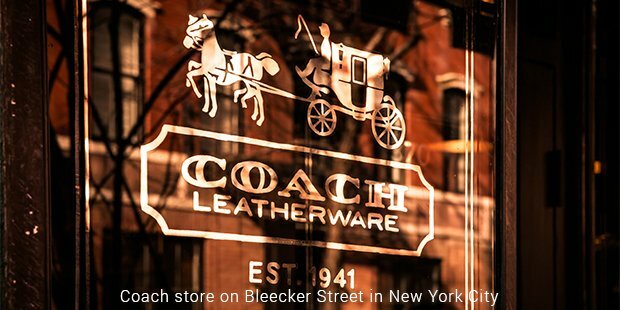 Coach, Inc. is one of the most famous New York based fashion company which deals in providing various luxurious leather goods and accessories to people. Coach is most commonly known for the products related to women such as gifts, apparels and accessories which include handbags, foot wear, outer wear, ready to wear etc. The company was founded in the year 1941 as a family run workshop in the streets of Manhattan, New York city. This family at that time had six leather workers who used to make wallets and bill folds. The main feature about the craft was that all these were hand made. In the year 1946, the family found new partners in Mrs. and Mr. Miles Cahn who joined hands with a mission to expand. Miles Cahn and her wife were the owners of the business of manufacturing handbags. Their inclusion resulted very well for the company’s welfare as they had great knowledge about the works related to the leather goods and accessories. Thereafter in the year 1961, Mr. Bonnie Cashin, a famous Sportswear Pioneer, was hired by the company. He used to design handbags for Coach, Inc back then. Cashin with his sharp mind and skill instituted the inclusion of many things like side pockets, coin purses and brighter colors in the products. His ability and skills in the field allowed him to earn every possible success for the Coach, Inc.
Further on, many liaisons took place as the company was on the heights of success. In the year 1979, Lewis Frankfort joined the running as the vice-president of the business development. Frankfort worked with the Coachfor near about 30 years and was also selected as the chairman and CEO in the year 1995. In the year 2008 the Coach foundation was established for the empowerment and education of the women and children around the world. The key concept behind the foundation was as the quote goes - The best opportunities to be provided to women to fully realize their potential by the use of various supporting programs which will help in making people aware about personal and economic empowerment are provided here. In the year 2000 one of the partners named Sara Lee sold 19.5% of the shares of the Coach at the coach IPO, it was followed by the distribution of their remaining shares through an exchange offer. The logo was introduced in the year 1959. 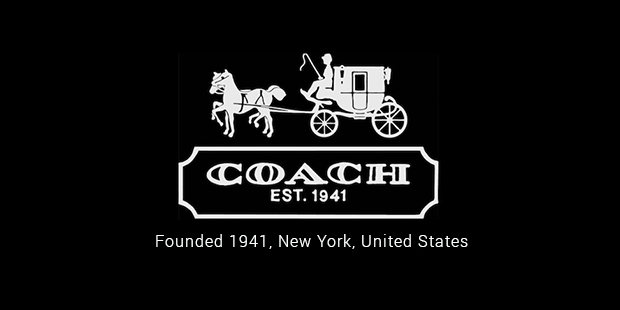 Coach, Inc. is one of the most leading company in the field of fashion and luxury. This company have provided and served at their level best for the people especially for women to get access to the best fashion at all times. Being in the business for Coach was all about sticking to what was latest and what could be made affordable to the lovers of fashion.